On 22nd August we are holding a film night at The Little Theatre in Nairn…..Showing ‘The Gods must be crazy’.Tickets are available on the door. Early August we will be having another ragbag collection.. the last one in June raised £246 to wards the school build. We will be holding a fundraising Ceilidh on Saturday 27th June at the Mosset Tavern in Forres. 8 pm – Midnight, £10 & Stovies included. 23rd-25th August 2019 we are running a small VW festival in Inverness call DubNess. All monies raised will come to the charity. Last year at our first event we raised £800 which went towards sending a container with school supplies. If anybody is wanting to sponsor a child school year 17/18 we are always needing more sponsors. It is £150 per year or £12.50 a month. Please e-mail for more information. We have recently donated £250 for the cement to help with the build of the tailoring centre. March 2014 we are returning to Genieri village with sewing machines and tailoring equipment which has been kindly donated. Many thanks to all who supported this project. Seven suitcases are on their way down the Atlantic to Gambia, filled with clothing, shoes and books. Should be arriving anytime! The next shared container is due to set sail at the end of February and will be delivering 10 sewing machines to set up a skills centre…. We have four planned coffee mornings at the British Legion in Nairn, Scotland. 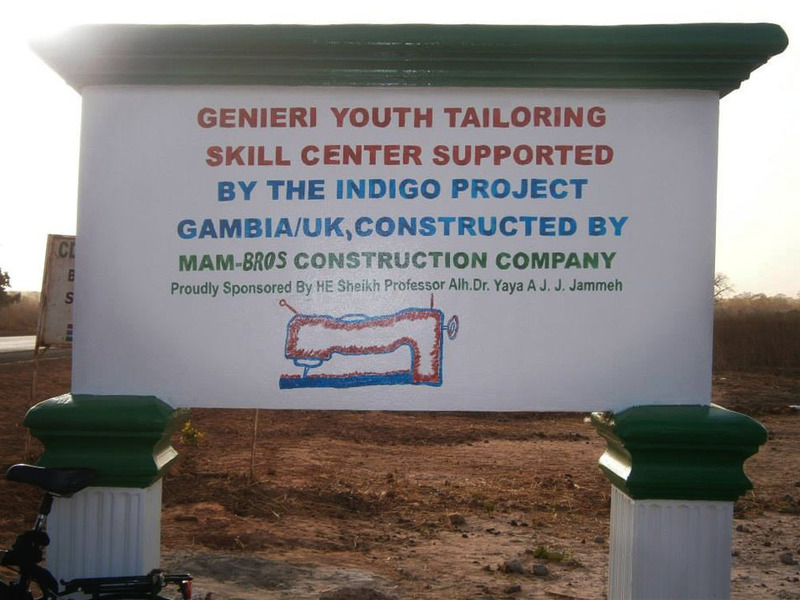 Great News– The Indigo project were donated £400 and two flights to The Gambia by Gambia Experience. We applied for this funding in November 2012 and were chosen as a charity supporting preventative healthcare in The Gambia. April 2013 – One hundred twenty mosquito nets were delivered to Generie village before the rainy season.